A successful toy product always has its original source in children’s motivation, curiosity, wonder and passion. 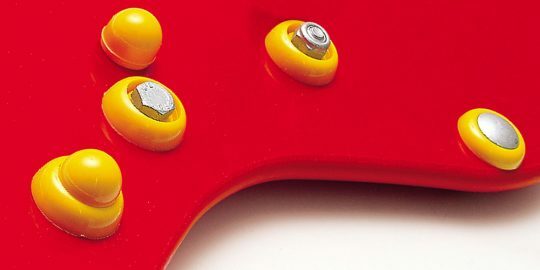 A child-focused approach to designing toy products can help to ensure that the design is actually for those who create and experience play- ing at the end point, namely the children. Therefore, it is important that the child-focused perspective is implemented before the actual product develop- ment starts. Here, it is not only about inviting the children into the design process, but as an adult to invite oneself into the lives of the children. The children are the experts – the experts at being children, and through them, it is possible to gain a picture of how it is to be a child and what it is that motivates children to play and explore the world. By being part of their life, being humble and curious towards why they do what they do, and how they in- teract with the world around them, you gain a direct insight into the world that you are designing for. 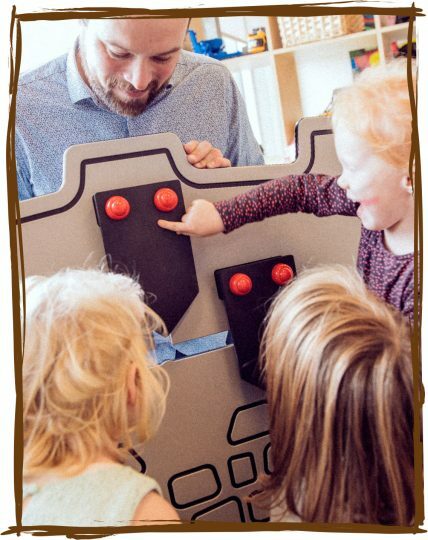 This way, the design of the play products is not based on one’s own assumptions and presuppositions about children and children’s everyday lives, but on real children and the world that they are a part of. Good play experiences are based on the child’s curious, investigative and creative approach to its surroundings. This approach is important in the design process when working in a child-focused manner. Children are creative by nature, and they do not have the same restrictions in their thinking as adults often have. By letting the children be part of the development process, you get input, inspiration and ideas which you would not have been able to come up with yourself. This can result in answers to questions you did not know you had to ask, which can be some of the most valuable and innovative knowledge in the development process. Another very common method to involve thechildren is to let them test the products in the finaldesign process. This can give an important clue as to whether your play product works as intended. If one waits until the very end before involving the children, there is the risk that a prototype, after long hours of work and many resources spent on it, turns out to not live up to the expectations. This risk can be reduced by involving children along the way through the whole process, where one qualifies along the way, and the design can then be changed and modified continuously. A child-focused approach not only helps to ensure that you end up with the best possible product but also that you achieve the best possible play experi- ence. 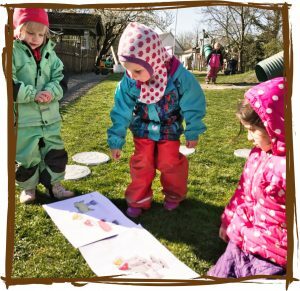 A play product only creates play if it is played with – and this is why it is so important to make sure it is relevant and interesting for the children. It must pro- voke their natural curiosity and their need for investigation and creativity so that they are strengthened and supported in their development. To be focused on the children creates both value for the developer, the buyers, the users, and for the world our children grow up in and become a part of in the future. PhD student in child- focused design of play. 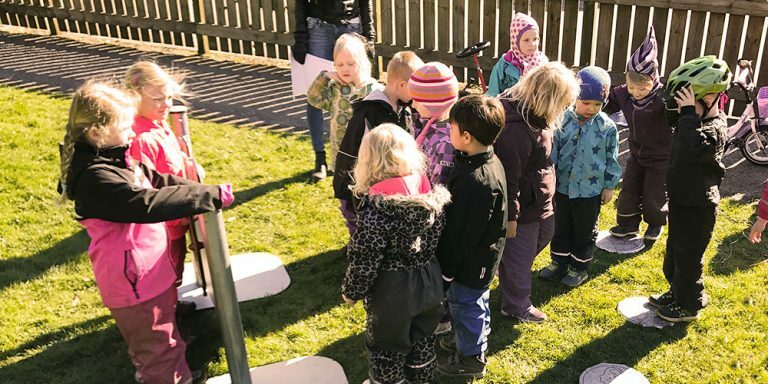 Karen Feder has a background as an observational nursery teacher and interaction designer, and has for the past many years worked with children, play and design. 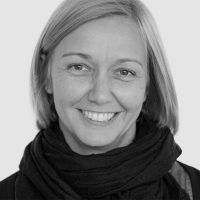 Karen has built the strategic focus on play and design in Kolding Design School through deep investigations of games companies, development projects in public organi- sations and strong team work with experts, opinion leaders and users. Karen now works on the research project ‘Child-focused design of play’ that investigates how a more child-focusedapproach to the design process influences the develop- ment of play experiences for children.